Join the community and contribute to BleachBit. Write about BleachBit on your social media pages. Review how well it performs. Instruct people how to use it. Please link to the BleachBit home page, download page, or blog. Feel free to hot-link or copy any screenshots from this site, but please do not hot-link downloads. Instead please link to the download page (or the home page), so people can get the latest version for all their operating systems. Let other people know how much you like BleachBit: like and rate BleachBit on popular download sites. For testing, development, and localizing, see running source code . 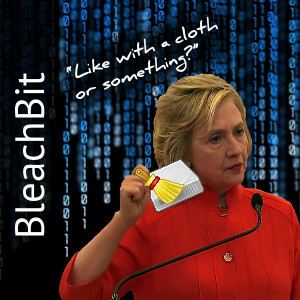 Donations encourage future development and support of BleachBit. If you do not want to use a PayPal account, notice on the PayPal page there is a link to continue without a PayPal account. File feature requests in BleachBit's wishlist tracker. Please include only one issue per ticket. See also Prioritization of issues. Help test BleachBit to ensure high-quality releases. Contributions must be licensed under the same license as BleachBit: GNU General Public License version 3 or later. Read the guide to contributing a cleaner for step-by-step instructions on how to write a cleaner, test it, submit it, and review others' submissions. Translate BleachBit in to your native language using an easy, web-based interface.